Bran son of Febal was the High King of Ireland who ne day was visited by the Queen of the Island of Women, one of the three times fifty Islands of the Otherworld, in the seas West of Ireland. Enraptured, he set sail through the seas of the Otherworld to find her. One day, while out walking near Tara, King Bran heard beautiful music, but he could not figure out where it was coming from. No matter which way he turned, it always seemed to be coming from just behind him. Lulled by the lovely sound, he fell asleep and dreamed of a beautiful woman, holding a sliver branch and singing to him of a perfect place, an Island of Women, where there was no death, or war or conflict, and where she was Queen. When he woke, he found the silver branch in his hand, and brought it with him to Tara. That evening, at the feast, the faery woman appeared again, this time in front of the whole company. She retrieved her silver branch, and asked Bran to sail across the sea to find her. Bran set out at once, accompanied by his three foster-brothers, who brought nine men each with them. When their ship was underway, Bran met Mananan Mac Lir, riding on his white horse, on his way to Ireland to father King Mongan. Mananan spoke to Bran of another way of perceiving, and told him that the waves Bran saw were grassy plains to Mananan’s eyes, with chariots racing to and fro over them. Along with this other way of seeing, Mananan gave Bran back the silver branch, as a token of his new perception. Bran and his men came first to the Island of Joy, where the people all gaped and laughed without speaking. One of Bran’s men went to investigate, but lost his wits as soon as he set foot on the island, gaping and laughing mindlessly with all the others. After this experience, they were wary when they reached the Island of Women, but the Queen threw a magic ball of yarn to Bran, which stuck to his hand when he caught it, forcing them to land. Bran and his men lived in bliss and ease on the Island of Women for an unknown time, but one man, Neachtain, was homesick, and begged to go back to Ireland. Eventually, Bran agreed. The Queen gave him directions back to Ireland, and gave him the magic ball of yarn so he could retrieve his man from the Island of Joy. But when at last Bran and his men came back to Ireland, they found the coastline changed, forests gone, and all the people small and grey. Calling to shore, they found that no one knew who they were, save one very old storyteller, who remembered an ancient king called Bran. Neachtain, overcome by homesickness, leaped from the ship to the shore, but turned to dust as soon as he landed. Realizing they could never go home, Bran wrote down an account of his adventures on stone tablets and tossed them to the people on the shore, and then he turned his ship around and sailed back to the islands of the Otherworld. And his adventures from that time are unknown. Spontaneous and imaginative, Bran leaped at the invitation to explore the Otherworld. 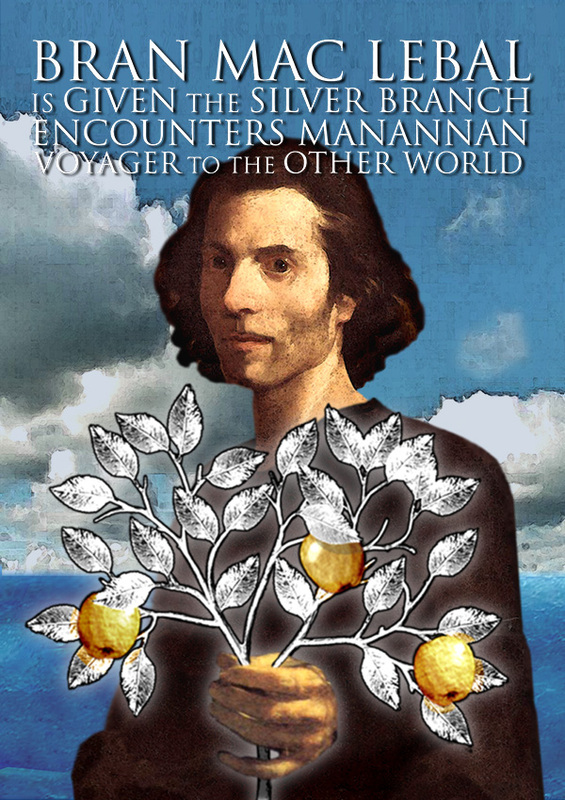 His encounter with Mananan shows his ability to see things from an unconventional perspective.